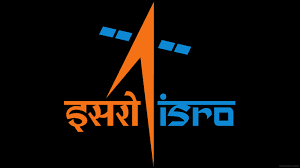 About: Indian Space Research Organization commonly abbreviated as (ISRO) is engaged in Research and Development activities for development of space application, space science, and technology. Recruitment: The recruitment board of Indian Space Research Organization conducts recruitment exam to hire Scientists/Engineers every year according to the available vacancies. Hiring for other major posts is also done based on a candidate's performance in the recruitment exam. GetMyUni updates details from the ISRO recruitment notifications and information as and when the same is released by ISRO. Expected Dates: The recruitment notification for the year 2019 is released in December 2018 and the exam will be conducted in March 2019. Exam Pattern: ISRO 2019 recruitment exams will have objective type questions involving negative marking for wrong responses. The syllabus is physics, chemistry, maths, and computer knowledge. Expected Vacancies: ISRO is expected to release 100 vacancies for the year 2019. Physical Research Laboratory (PRL), Ahmedabad: This is a premier institute engaged in research in fields like experimental and theoretical physics, astronomy and astrophysics, earth, planetary and atmospheric sciences. NE-SAC Meghalaya: NE-SAC Meghalaya is a joint venture of DOS and North Eastern Council to facilitate developmental support to the North East region with the help of space science and technology. National Atmospheric Research Laboratory, Tirupati: NARL is a prime centre involved in atmospheric research in the country. NARL specializes in atmospheric research, indigenous technology innovation for atmospheric probing and weather & climate modeling. Semi-Conductor Laboratory (SCL): SCL was set up with the prime objective to facilitate, aid, promote, guide and coordinate the Research & Development in the area of semiconductor technology, Micro-Electro-Mechanical Systems Technology (MEMS). SCL provides employment opportunities to all Ph.D holders (even for candidates who have submitted their thesis but are awaiting the award and completion of the degree) specialising in Science or Engineering which holds certain relevance to SCL such as Electrical, Electro-Optics, Microwaves, RF, MEMS, VLSI Design, Testing, Advanced Packaging, Semiconductor Materials, Applied Electronics, Micro-Electronics, etc. How can one apply to SCL? All eligible and research employment enthusiasts must register themselves for possible employment with SCL. As and when there are vacant posts within the organization, applicants from the Live Register will be considered and called for selection based on the discipline in which there is an employment requirement. Details of Employment - Candidates will be offered the posts of Scientist/ Engineer ‘SD’ for the Pay Band of INR 15600-39100 with initial entry-level pay of INR 18750 + Grade Pay of INR 6600. At present, the gross emoluments of Scientists/Engineers ‘SD’, pans out as INR 64,000/- per month. In addition to this, recruits will be eligible for a fixed incentive of INR 1520/- per month, professional upgrade allowance of INR 10,000/- (once a year) and PRIS Organisational Incentive @ 20% of the basic pay i.e, INR 5070/- per month, which will be payable twice a year. Also, a higher and better start will be taken into consideration by the authority for deserving candidates. IIST provides undergraduate (Avionics, Aerospace Engineering and Physical Sciences), post-graduate and doctoral programmes in fields of space science, technology and applications. Applicants must have completed B.E./B.Tech or any equivalent qualification with a first-class obtaining a minimum aggregate of 65% marks or a CGPA of 6.84/10. ISRO is highly strict about the CGPA or marks for eligibility considerations and will not consider anything less than the given criteria. Note that the average percentage of marks in all semesters of the concerned degree will be considered for calculating the overall aggregate or CGPA. Nationality: Every applicant must be an Indian citizen. Age limit: All applicants must not be more than 35 years of age on the date of application. However, Ex-Servicemen and Persons with Disabilities (PwDs) will be provided age relaxation as per Govt. of India orders. Candidates pursuing the final year of degree will also be eligible to apply provided they can present the degree certificate or proof of passing by July 31, 2019 obtaining a minimum of 65% marks or CGPA 6.84/10. Candidate having a Diploma + B.E./B.Tech (Lateral Entry) will also be deemed eligible only if they complete their degree obtaining a first class with an aggregate minimum of 65% marks or CGPA 6.84/10. AMIE students registered before May 31, 2013, may be considered for employment provided they hold 65% marks or CGPA 6.84 to fulfill the educational requirement. However, AMIE candidates seeking employment at ISRO are advised to check if they are eligible before applying. Engineering Post Graduates will be eligible to apply provided they have obtained the minimum marks in B.Tech required to fulfill the educational eligibility criteria. Applicants who have pursued Integrated course - B.E/B.Tech and M.E/M.Tech will also be deemed eligible provided they can furnish Graduation certificate for B.E/B.Tech separately in first class with an aggregate minimum of 65% marks or CGPA 6.84/10. Candidates who have obtained part-time B.E/B.Tech degree will also be eligible. However, candidates who have finished B.E./B.Tech through correspondence will not be eligible for employment at ISRO. Check here the detailed information about ISRO 2019 Eligibility for Recruitment. Candidates seeking employment with ISRO must register themselves on National Career Services Portal. Note that the registration on NCS Portal is mandatory to be considered for selection at ISRO. How to apply for ISRO Recruitment? Check the eligibility for recruitment before applying. All applications are supposed to be submitted online. Candidates must provide necessary personal, academic and address details. An online registration number will be provided to candidates who successfully complete the registration. This must be preserved by candidates. Candidates working under Central/State Government, Public Sector Undertakings or Autonomous Bodies must obtain and send a `No Objection Certificate' from their employer, duly indicating the name and Reg. No. as well as post code on the reverse. The fees can be paid using Internet Banking/Debit Card/Credit Card or ‘Offline’ by visiting nearest the SBI Branch. All Women candidates/Scheduled Castes (SC)/ Scheduled Tribes (ST); Ex-serviceman [EX] and Persons with Disabilities (PWD) applicants will be exempted from paying any Application Fees. Important: Applicants employed under Central/State Govt/PSU/Autonomous Bodies will be required to obtain and send a NOC to the Administrative Officer [ICRB], ISRO Headquarters, Bengaluru within seven days of applying. Initial screening will be performed to short-list candidates for a written test based on the candidate's academic performance and bio-data. ISRO will conduct the written test in the following cities: Ahmedabad, Bengaluru, Bhopal, Chandigarh, Chennai, Guwahati, Hyderabad, Kolkata, Lucknow, Mumbai, New Delhi and Thiruvananthapuram. Candidates shortlisted for the written test will be sent call letters via email. The written test will have 80 questions carrying a total of 80 marks. The language of the question paper will be English. Based on a candidate's performance in the written test, he/she will be shortlisted for the interview. Candidates obtainingnelme a minimum of 60% score in the interview process will be deemed eligible for empanelment consideration in the selection panel. The selection will still be made in the order of merit. Selected candidates will be recruited under designations of Scientist/Engineer ‘SC’ in Level 10 of Pay Matrix. The minimum basic pay will be INR 56100/- p.m.
House Rent Allowance [HRA] and Transport Allowance at the prescribed rates in force at the place of posting will be offered for those who are not availing Departmental Housing and Transport facility, respectively. ISRO employees and employees working for other centres under the Department of Space will be governed by the New Pension Scheme. Medical facilities for self and dependents, subsidized canteen, transport allowance when official transport is not availed, limited housing facility for fresh entrants in lieu of HRA, Leave Travel Concession, Group Insurance, advance for construction of house, etc will be provided as per Central Government orders. Subjects included: Syllabi for Officers' post and Assistant and Stenographer post will include General English, General Knowledge, Arithmetic, Reasoning, Computer Literacy, Trade-Related subjects. Applicants seeking employment as Scientist/Engineer will be assessed based on their knowledge of Physics, Chemistry, Computer Science and Mathematics. Previous Year Papers: To boost the performance in the written test, candidates must solve as many ISRO Previous Year Question Papers as possible to understand the nature of questions asked in the exam and paper pattern. Feel free to go through the ISRO 2019 Syllabus. Paper Pattern: ISRO 2019 exams will be tests designed with objective and descriptive type questions and will involve negative marking for wrong responses. Marking scheme: For every wrong answer, a deduction of 0.25 or 0.33 marks will happen. The exact amount of deduction will depend on the particular exam and its pattern. A minimum score of 60% in the written test will be required to get selected for the interview with ISRO. Know more about the ISRO 2019 Exam Pattern. Application form: ISRO 2019 Application Forms will be released on the official website of ISRO as and when vacancies arise for different posts. GetMyUni will notify all its subscribers about every such recruitment notification from ISRO. Application fee: The application fee for all ISRO recruitment exams is INR 100. The fee can be paid using net banking, debit/credit card or a prepaid SBI Challan. Know how to complete ISRO 2019 Application Process. Locations: ISRO 2019 exams will be conducted across all major Indian cities. Allotment: Candidates while filling in their application will have to choose the preferred ISRO 2019 exam centre which will be convenient for them to travel to. Know more about all ISRO 2019 Exam Centres. How to obtain: Also, to access and download the ISRO 2019 admit card, go to the official website and check the link " Careers". Candidates can download admit card once they have logged in using their Registered Id and Password. For selective ISRO exam Admit Cards are sent to the candidates on their email address. Contents: ISRO 2019 Admit Card will have details such as candidate's name, age, exam centre, post applied for, date of exam and other exam related information and guidelines. Know how to download the ISRO 2019 Admit Card. Q. How to apply for the post of Scientist/ Engineer 'SC'? Where to find the link? Ans. Interested candidates can look for the link under the 'Careers' section in their official website (www.isro.gov.in). Click on the advertisement, and click on the "visit page" link and scroll down to apply online. Q. What to do if the registration number is not sent to the registered email of the applicant? Ans. Once the candidate has successfully submitted the registration number will be displayed to the candidate on the display screen. It is important for the candidate to note down the registration number when it is displayed, and an email will be sent to the registered email id. Q. What to do if my educational institution (College/ Institute/ University) which I have studied does not appear on the list? Ans. If your educational institution does not appear on the list, select "Other Universities" available in the drop menu. Q. I am a woman candidate for the role of Scientist/ Engineer 'SC'. I have filled the details in the application form but I cannot find the 'payment button'. How should I pay my application fee? Ans. Women candidates irrespective of their categories (General/ SC/ ST/ OBC/ PWD) are exempted from paying the application fee for ISRO 2019. There is no application fee for the candidates, but they will get an email notification after the application is successfully submitted. Q. What are the documents to be sent to the ISRO Headquarters? Should we send the copy of the application form with a photo affixed? Ans. Candidates who are already under Central/ State/ Government/ PSU/ Autonomous Bodies should send a "No Objection Certificate" from the employer to the address below. Q. When will get the ISRO Admit Card for the written test? Ans. Only the shortlisted candidates will receive the call letter for the written test by an email. The candidates will not be notified by any other means. Q. I am working in a private company, is it necessary for me to send a 'no objection certificate'? Ans. No. The candidates who are working in Central/ State/ PSU/ are supposed to send the 'no objection certificate'. Q. Whether the posts “Scientist/Engineer-SC” is meant for only for the candidates who belong to the Scheduled Caste? Ans.It is the name of the designation, SCIENTIST/ENGINEER "SC" does not pertain to any specific caste/religion etc. Q. Is there any relaxation in the Educational qualification or the marks for those candidates who belong to SC/ST/OBC/PWD? Ans. No. There is no relaxation in this part for any of the categories. Q. What to do if my final semester exam results are not declared yet while filling the ISRO application form? Ans. In that particular field, the candidate may enter 'zero out of zero' and proceed to submit the application form. Q. Is it possible if an applicant has graduated BE/B.Tech in First Class for the post of Junior Personal Assistant/ Stenographer? of Junior Personal Assistant/ Stenographer.? Ans. No, it is not possible for BE, B. Tech, B. Pharmacy, Physiotherapy, BDS, graduates to apply for the post of Junior Personal Assistant/ Stenographer. Graduates from disciplines such as Arts, Commerce, Management, Science, Computer can apply for this post. 65%. Am I eligible to apply? Ans. No. You are not eligible to apply. Q. Will the conducting authority allot me a different date for the written test? Ans. No, the date cannot be changed or modified. Q. What is the syllabus for the post of Scientist/ Engineer SC? Ans. Electronics, Mechanical, and Computer Science that were taught inB.E./B.Tech will be the topics that come under the syllabus for this required post. Q. Can I change my ISRO Exam Centre? Ans. No, it is not possible for the candidates to change the Exam Centre. Q. Where can I find the previous years' question papers? Ans. Candidates can find the previous years' question papers on the official website that is published under the advertisement. Q. Should the candidates apply online even after they have registered under National Career Services (NCS)? Ans. Yes, the candidates have to follow the application procedure even after registering under the National Career Services.The candidates need to fulfill the Eligibility Criteria that are set by the management/ conducting authority. Q. What is the postal address for sending the No Objection Certificate? Ans. Candidates need to send their No Objection Certificate in the following address. Q. What if the candidate has graduated bachelor's degree in second class but completed the postgraduate in first class? Is the candidate eligible to apply? Ans. No, the candidate should have completed the bachelor's degree in first class as declared by the university to fulfill the eligibility criteria. Q. How do I check my application status? I have successfully submitted the application for the post required by the conducting authority? Candidates are required to visit the official webiste of Indian Space Research Organization (ISRO). A link will be provided in the advertisement/ notifications under the Career portal of the website. Candidates are required to click on the advertisement. Now, click on the link that says 'Visit Page'. Application Status will be seen when the candidate scrolls down from the status of the application can be constantly checked online. Q. Is it necessary to produce a certificate that certifies that candidate's ability to type 80 word per minutes (80 wpm) for the role of Personal assistant/ Stenographer? Should the candidate upload with the application form? Ans. No, it is not mandatory to produce a certificate. But, it is essential for the candidates to possess the skill of typing 80 words per minute (80 wpm) as required in the advertisement/notification by the management/conducting authority. Q. I am candidate with Diploma+B.E/B.Tech (Lateral Entry). I had only 6 semesters. The thing is there were no 7th or 8th semesters according to the curriculum.I am unable to proceed with online application. Ans. In the third step of the online application you may select Diploma+B.E/B.Tech (Lateral Entry) option. Now, you will only find the fields for 6 semesters only. Q. I applied for the post of ‘Scientist/Engineer-SC’ (Electronics/Mechanical/ Computer Science) Please provide Syllabus and Exam pattern. Ans. Syllabus of the written test will be based on the curriculum taught in BE/B.Tech in Electronics/Mechanical/ Computer Science whichever is applicable and test will be objective type. Q. I have ME/M.Tech in First Class with an aggregate more than 65%. However the aggregate percentage of marks in all semesters is less than 65. Am I eligible to apply? Q. As per my University certificate my percentage is more than 65. However the aggregate percentage of marks in all semesters is less than 65. Am I eligible to apply? Q. I have B.E/B.Tech with 6.5 CGPA/CPI. Am I eligible to apply? Ans. No. You should have minimum 6.84 CGPA/CPI(aggregate). Q. Upto 7th Semesters my aggregate percentage (average of all semesters)/ is more than 65%/. So after the results have been declared for the final semester and the overall aggregate is less than 65, whether my candidature will be considered for further selection process? Q. Upto 7th Semesters my CGPA/CPI is more than 6.84. If subsequently my result is declared and CGPA/CPI is less than 6.84, whether my candidature will be considered for further selection process? Q. I am an AMIE/Grad IETE candidate with aggregate percentage of more than 65%/ CGPA/CPI of 6.84 in both sections A & B put together. Am I eligible to apply? Ans. No. Applicants who have obtained education from AMIE/Grad IETE should have 65% marks or CGPA 6.84 in Section ‘B’ alone. Q. I am MCA candidate with aggregate percentage more than 65%/CGPA/CPI of more than 6.84. Am I eligible to apply? Q. I am an M.E/M.Tech candidate/pursuing candidate. Am I eligible to apply? Ans. Eligible, subject to fulfillment of B.E/B.Tech in first class with an aggregate minimum of 65% marks or CGPA 6.84/10 (average of all semesters). Q. I am a candidate with Integrated course of B.E/B.Tech and M.E/M.Tech with aggregate percentage more than 65%/CGPA/CPI of more than 6.84. Am I eligible to apply? Ans. Eligible, subject to production of Graduation certificate for B.E/B.Tech separately in first class with an aggregate minimum of 65% marks or CGPA 6.84/10. Q. My CGPA/CPI is less than 6.84. But once the same is converted to percentage using the factor used in my university, it is more than 65%. Am I eligible to apply? Ans. No. Candidates who are awarded the degree based on CGPA/CPI are not allowed to convert the CGPA/CPI into percentage. Q. My aggregate percentage (average of all semesters) is less than 65%. But once the same is converted to CGPA/CPI using the factor used in my university, it is more than 6.84. Am I eligible to apply? Ans. No. Candidates who are awarded the degree based on percentage are not allowed to convert the percentage into CGPA/CPI. Q. Where will I get the old Question Papers? Ans. Previous years question papers will be available in the ISRO Website and published under the advertisement. Q. Can my written test date be changed? Q. The eligibility criteria mentioned in the notification is BE/B.Tech or equivalent qualification in first class with an aggregate minimum of 65% marks or CGPA 6.84/10 (average of all semesters for which results are available). What is the meaning of Equivalent/Equivalency? Candidates who have undergone any of the above courses and fulfill all other terms and conditions mentioned in the advertisement are eligible to apply. Q. I have completed my SSLC/10th standard before attaining the age of 15 years; and completed B.E/B.Tech before attaining the age of 21 years. After this when I enter my date of birth details, it shows an error. How do I proceed? Ans. You may kindly contact ICRB Cell on the phone numbers mentioned below (at the end of the FAQs). Q. I have acquired B.E/B.Tech degree through a correspondence course. Am I eligible to apply? Q. I have acquired B.E./ B.Tech degree through part-time. Am I eligible to apply? Ans. Yes, subject to fulfillment of all other terms and conditions mentioned in the advertisement. Q. I have registered under National Career Services (NCS) Portal. Do I still have to apply online? Ans. Yes. The candidates registered under National Career Services (NCS) portal and fulfilling the eligibility conditions may visit ISRO website @ www.isro.gov.in and follow the application procedure as stated in the advertisement/notification.